Completing the job “Steal Bank Record” in the Capo level (Level 25-34). Completing the job “Rob an Electronics Store” in the Enforcer level (Level 13-17). Rob an Electronics Store job within the Enforcer job tier drops one of three items, a Concealable Camera, Computer Set-up, and the ever elusive Untraceable Cell Phone. Completing the job “Obtain Compromising Photos” in the Hitman level (Level 18-24). 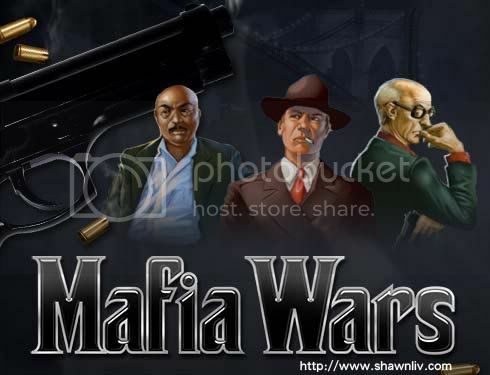 Tips to get Satelite Phone in Mafia Wars? The Satellite Phone drops from the “Hijack a Boat Load of Electronics” job in Bangkok’s Episode 3 tier which is called “Pirate” and the job is located in Chapter 2. Tips to get 1 pirate in Mafia Wars? You’ll have to take over the Piracy Operation Business. Nice tips! I am really looking for tips, actually I am more into cheats than tricks, but this is good enough. Thanks for sharing these tips here. Anyways, just in case you guys are interested, we just made a beta racing game, wonder if you guys can check it out and gives us a feedback about it. Here’s the link http://www.streetrally.com/. Thanks.